HARWINTON, CT, January 02, 2007 – From humble beginnings selling horse carriages and harnesses in 1980, family owned Kloter Farms has grown to become one of the most successful retailers of heavy-duty indoor and outdoor furniture, storage sheds and accessories in the Northeastern United States. 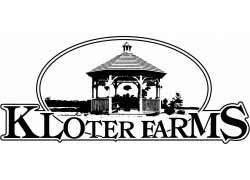 Kloter Farms had previously relied upon a DOS-based system as its accounting backbone. While the system met Kloter Farms’ day-to-day accounting demands, it wasn’t able to accommodate the company’s increasing need for information. In addition, Kloter Farms’ accounting system wasn’t well integrated with other critical systems, including the company’s point-of-sale system and GoldMine customer relationship management (CRM) system. As a result, Kloter Farms lacked a complete view of its business and up-to-date, decision-driving information about sales, orders, customers and inventory. In addition, business processing was time consuming because many important business functions had to be performed manually. CAL Business Solutions implemented Microsoft Dynamics GP accounting software, helped Kloter integrate their CRM system and implement a new point-of-sale system from Compass Technologies. Streamlined business processes. The systems CAL Business Solutions implemented and integrated have helped Kloter Farms increase business efficiency and process orders more quickly. For example, when selling custom-built storage sheds, Kloter Farms strives to meet a four-week delivery time. This goal was difficult to achieve in the past because the shed sales process—everything from specifying the exact dimensions of the structure to ultimately placing the manufacturing order—was largely manual and paper-based. This resulted in considerable processing time and introduced the potential for errors. By implementing new, integrated software that automates business processes, CAL has helped Kloter Farms eliminate costly, time-consuming paperwork and speed the flow of information from the point at which the order is configured and placed to the point it is received by manufacturing. This, in turn, helps Kloter Farms reduce delivery times and sell more storage sheds. “We’ve steadily increased our business since we’ve used the Great Plains system, and we’ve radically cut down on the amount of time we’ve spent doing it,” says Jason Kloter. And in situations when technical issues have arisen, Kloter Farms says that CAL Business Solutions has provided support quickly and professionally. In addition, Kloter Farms appreciates the friendly, personalized service it receives from a local partner that has taken the time to understand its business.